Just saw a message from the 13u Rattlers head coach John Salem. The girls played in their first "Championship level" tournament this season and it was a lesson all round for everyone. Seeded #5 going in the girls were able to secure an opening round win over the 12u Titans, however the next oppponent was Durham Black who would go on to win the tournament. Lessons were learned in this loss that the Coach hopes will come back to the gym with the girls. Their quarter final match was against STVC 13u and while a close match that was encouraging for all, alas it came out on the short end. The coach feels that this match was a measuring stick for our improvement as the Titans are amongst the elite in Ontario. For their final tilt the Rattlers were matched up with the 12u Titans and after letting their play slide early the girls were able to regroup and take the contest in three. Leaving them with a 5th place finish. The golden boys at 15u were at it again, this time almost x2. Both the 15u Chargers and Cavalry advanced to their respective tournament finals at Premiere and Championship this weekend, The final result was an overall split record but the big news is a second consecutive Gold for the Chargers at the premiere level cementing their #1 seed for Provincials. The day was not perfect with one match in pool going into the loss column meant a #1 v #2 quarter final thanks to the 12 team draw for this event. Coach Gratton feels that was the wake-up call required to bring out the best in his boys a big win over FCVC set them up for the remainder of the day. That makes back to back Gold medals at Premiere a rare accomplishment for a Maverick team, my only recollection is the '08 Mustangs but hope to be corrected. Meanwhile in Kingston the Cavalry had a near perfect day with wining their all their pool matches and first two playoff rounds. Only the finals loss to Fusion (I've always said it is hard to beat a team twice in the same day) ruining an impressive march up the standings this season. Coach Ferland feels that the progress is tangible and that the team is ready to continue that march at OC's next month. Meanwhile on the girls 16u side an impressive performance with a first time setter was on display at the 2 day GrandPrix in St Catharines with the BlackJacks maintaining their top 4 standing despite the growing pains associated with such a situation. The entire team laced up their shoes just a little tighter and went to work against the top 8 teams in Ontario over two days. A total team effort helped the girls to wins over the KW Predators and Defensa to open the competition, they finished with a loss to LVC in the placement match for 1st and 2nd and a Sunday date in the top half of the draw. Wow impressive! The girls Sunday finish may have felt like a letdown however to this observer; -thanks to my Saturday, I was able to enjoy this impressive group battle tough vs Ms. Pakmen- their desire to compete and remain tight in their goals was an impressive display of excellent periodization by Coaches Nguyen and Armstrong, who dealt the hands this weekend as part of her development as one of the top young female leaders courtside. The 16u Wildcards were in the Select division for the first time, the girls side of the OVA is such a "hard road to hoe" with 4 levels of competition to get to the top. When you look at it and this group has been digging deep since their first event which was a set-back but undaunted they have moved up ever since. Coach Tanguay is both confident and frustrated with the weekend in his report; the frustration from illness and injury at just the wrong time but confidence that even a battered group went to the wire (3rd set) in very match at this elite level and look to be only a well deserved rest and recovery away from an excellent showing at OC's. At the Championship level it was our 15u Stampede who carried the colours into battle at Maxwell Heights in Oshawa at the 16u level, impressive just making that statement but their performance is just as impressive. Coach Walker was hoping to see the true progress from his girls at this event and got it right away. A slow start but three set victory over the #3 seed Titans, the fire got even hotter with their next against the #2 15u team in Ontario DA Black. stampede demonstrated enough in this match to tell the veteran coach the they were on the right track. A lack of consistent play in their quarters vs DRVC put them back opposite those titans from the morning. A good sign as I mentioned when you can prevail over a team twice in the same day, rising to 5th from 9th is progress once again for this hearty band of young women. Three teams were on court at 16u Trillium including the Gamblers along with the 16u Aces and 15u Ambush. Coach Bergeron's group had a perfect day except for those pesky 15u Ambush HP girls. Wins in every other match (Vikings, Fusion 15u, and Rebels) has the veteran coach optimistic about OC's knowing she won't have to deal with our 15u HP groups. To their credit the Ambush went on to win Gold over the Gamblers making another all Maverick final a great show here in town. 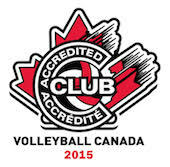 Coach Henderson is eager to take these winning ways into the next and last 15u event before provincials, stay tuned. On the boys side the 17u Rangers entered the 2 event in St Catharines off of consecutive Bronze medal performances in Premiere and aspirations were high with the team healthy and prepared. However when you get the top 8 teams together anything can and did happen. The boys draw at this tournament was the most topsy turvy affair I have ever witnessed in 40+ years. At one point in the draw all 8 teams sported 1-1 records which turned everyone's final pool match into a "win to get in" affair. When the dust settled the Rangers found themselves on the short side of the draw with a loss to FCVC to open the day, a resounding win over eventaul pool winner Storm RipTide and a loss to Preds. Adding to this disappointment was the fact that they would then face Durham Attack in the consolation semis. A #1 vs #3 match-up was our reward for sloppy Saturday morning play. Now Durham has dominated since our first encounter in Dec. where the Rangers took advantage of their depleted roster, needless to say a bitter Attack team was in no mood to allow us any lattitude winning in straight sets. With the final match a repeat of the opening round loss to FCVC the Rangers were out for retribution in the best of 5 affair. Stumbling through line-up changes and roles the squad was quickly down 0-2. Undaunted a new pair of line-ups in the merry-go-round that was Coach MacLean's decision pounded out massive wins in sets 3 and 4. This brought about the fifth to 15 which seemed to be as heated with the score 7-8 at the switch, however the wheels fell off and the London team crusied to a 15-10 win leaving our boys with a bitter 8th of 8 finish and a whole lot of work to do before OC's. Hopefully their first 18u event at home (Mer Bleu Mar 25th) will be the start of the recovery.